It has been quite a while since I’ve talked about the VPS panel but don’t worry we have not forgot about it. We have a lot of projects going on so some take a higher priority than others. Those projects have hit the point of maturity and now are just receiving bug fixes and minor feature requests rather than major code overhauls. That means we’ve now dedicated our resources on getting our VPS panel out and we’re finally getting to the point where it’ll be how our virtual private servers will be managed. We’re looking at a mid to late August launch assuming everything goes well in this round of testing. Our initial goal of the project was to replicate our current feature set with only minor changes and improvements and no major new features. The way the system was designed however will allow us to offer major new features. We designed the architecture of the software keeping in mind of expanding the feature set. As a result of this new OpenVZ features will be relatively easy to implement. We can also add support for various other virtualization technologies without major changes to the system minus creating the communication driver for the other platform. I’ve taken a few of the features out in the example image but as you can see it’s basically exactly what our system is now as far as feature wise. It’s very basic but does the job as I hope you’re spending most of your time on working on your VPS and not sitting within the management panel. It does not show the graph portion but the graphs themselves will also adjust with the ranges supplied. We believe this just help with all the questions about where is my bandwidth going. 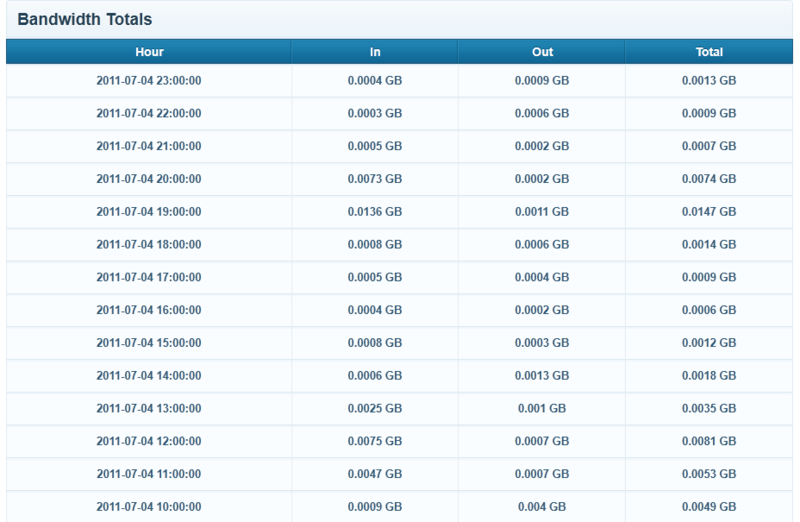 It is also worth mentioning that you can check your usage for the day at any time. If you wish to know how much bandwidth you used in the first 30 minutes of an hour that will be no problem now. The other change we’ve made compared to right now is you can now manage all your virtual private servers from a single login. 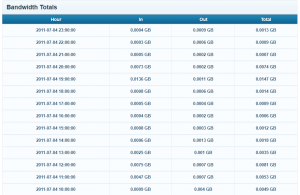 This means no longer is it a separate login for each VPS you have with us. 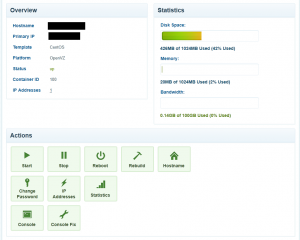 You’ll have the convenience of a single login to our VPS panel to manage however many virtual machines you have. We believe this is a necessary change to avoid confusion and allow us to add other cool features in the future. Full API for user accounts that will allow manipulation of user account as well as any virtual machines. It will be available initially via XML RPC and JSON RPC but REST API may become available later as well. So that’s a quick preview of what’s to come next month. We hope everyone is excited to see a new VPS panel as much as we are. It is going to open many opportunities for us to improve our virtual private service dramatically. This entry was posted in General, VPS Panel. Bookmark the permalink. Looking nice. Is it still built on Zend Framework? The user facing portion is built using Zend Framework. It makes development of certain aspects much quicker.